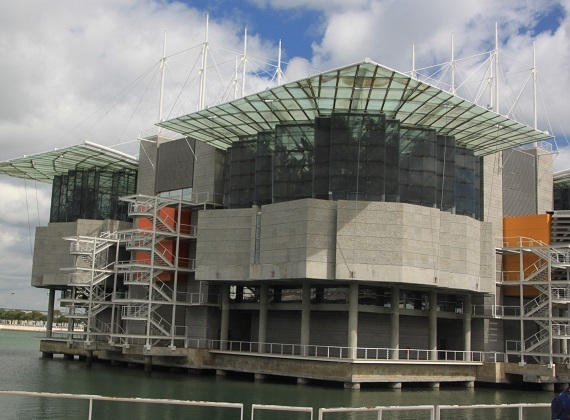 We enjoyed our morning wandering around Lisbon’s Expo area – especially the cable car ride and after lunch it was time to visit the Oceanarium, originally our main reason for coming to this part of the city. After stacks of pre-trip research I read many times over this was one of the most impressive aquariums in the world. We have trekked around our fair share of these sorts of places down the years with Son in tow. We’ve seen big and glitzy aquariums and many less so but still quaint, charming and rustic. Fair to say we have a point of reference I think and with that in mind I’m not sure I would award this place the “most impressive” title. The building is striking however and although this (apparently) the largest salt water aquarium in the world is not unimpressive it was not my favourite part of our Lisbon trip. We bought our tickets – expensive – and ventured inside. Sinking hearts all round as soon as we got through the door. The building was so packed, tons of tourists plus it seemed like every school in Portugal was also here on a visit. Noise levels were loud to say the least and I was instantly put off. Had we not bought our tickets I would have run straight out the door. This was probably the main reason we didn’t enjoy our aquarium experience here. Anywhere packed to capacity and indoors on a gorgeous sunny afternoon is not a fun place to be. We had to push our way through the crowds to even peek at the tanks and displays. This was not quite the fun family day out I was anticipating. 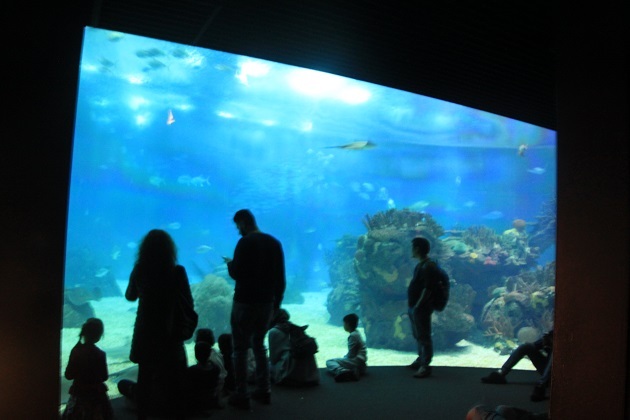 There is a huge central tank and four adjacent ones representing different ocean environments. Plenty of creatures both the odd and the recognisable, our favourites hands down were the sea otters. 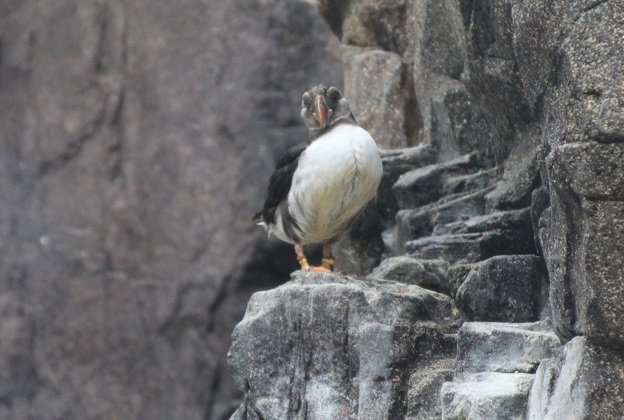 We followed the well marked route around viewing the sea and underwater world on a number of levels – albeit mainly from the back of a large group of people. 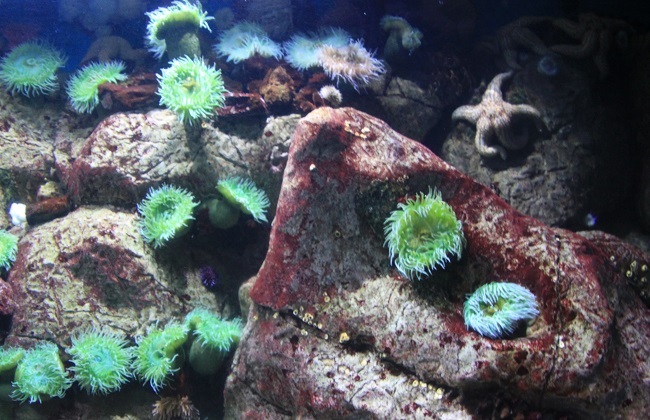 An interesting film gave a behind the scenes look at the aquarium. I did enjoy this but we didn’t linger too long inside. The crowds and noise made us long to escape and head back to the old streets of Lisbon. That is just what we did…. It definitely is – loads to walk around. I am sorry your visit was not so good. Large crowds seem to ruin things for me. Walking cobblestone streets of an old town on a sunny day is much preferred! You’ve hit the nail on the head Pam, I think it was those crowds plus the thought that we could have been in old Lisbon meandering instead was the problem! That’s a shame to hear it didn’t quite hit the mark – big crowds are a turn off for me too. Sometimes I find that reviews filled with superlatives can (unfortunately) set the bar too high for attractions like this one. Absolutely Rosie, I think having read about how great it was definitely did raise our expectations too much. The crowds though were unbearable, I just yearned to be back in the old part of the city. 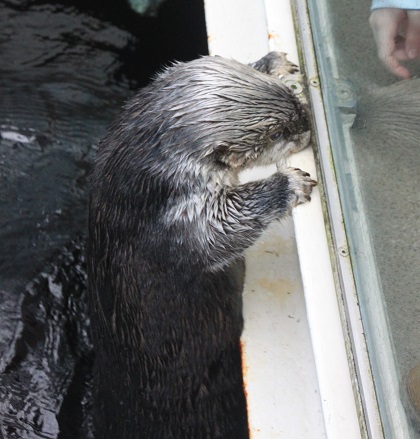 I wouldn’t like that either, but I agree that otter is darn cute! Some superb photos Joy but what a disappointment that the aquarium was so noisy and crowded. I wouldn’t have liked that either! The crowds were horrific Marion, it was packed to beyond capacity which is never fun. I think what made it worse though was we could have been wandering around those gorgeous old streets in the city instead of being stuck indoors! This was peak time during the school holidays so I guess we should have known what to expect George! It wasn’t as crowded when I was there, but I wasn’t wow’ed either. Sydney remains my top pick. The crowds didn’t help but I just didn’t love it here. This bring all the memories back, thanks for sharing and reminding me what a beautiful and wonderful experience I had when I visited Lisbon! It’s such a great city, we had a wonderful time there too. Well you know from reading my blog that I utterly loathe crowds. I actually get panic attacks from being in very crowded situations. I, therefore, can’t stand it when I’ve been looking forward to something and it’s then ruined by being too crowded. Aquariums (like zoos) are always expensive which makes it worse when the experience doesn’t meet expectations. The crowds here were unbearable and unbelievable Laura, as bad as anything I’ve ever experienced. Like I said had we not bought those (expensive) tickets I would have been straight out the door. As it was we didn’t stay too long and were all much happier out in the open air again! What a wonderful place. LOVE that last picture. Thank you Jessica – it was more by luck than design but it came out quite well. 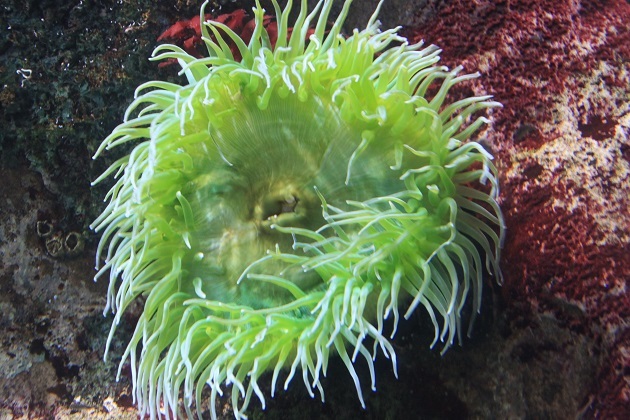 My favourite aquarium is the National Marine Aquarium in Plymouth. If you’ve not been I would recommend it if you are ever in Devon. Haven’t been there – thank you for the recommendation, definitely something we would like to do. 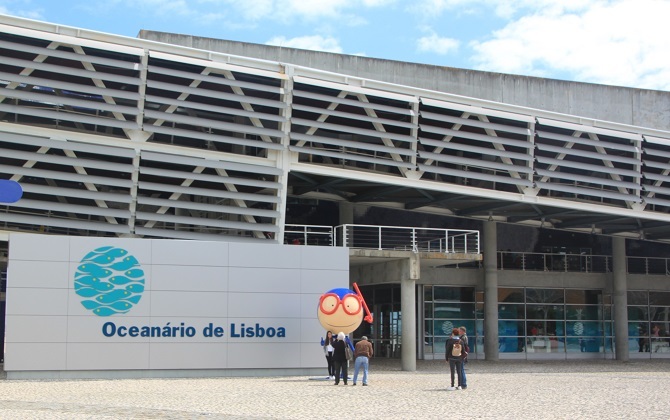 Lisbon aquarium is still one of our favourites. It’s a must for us every time we’re in town. I think we picked a bad time to visit, peak crowds in peak holiday time means you don’t really see it at its best. 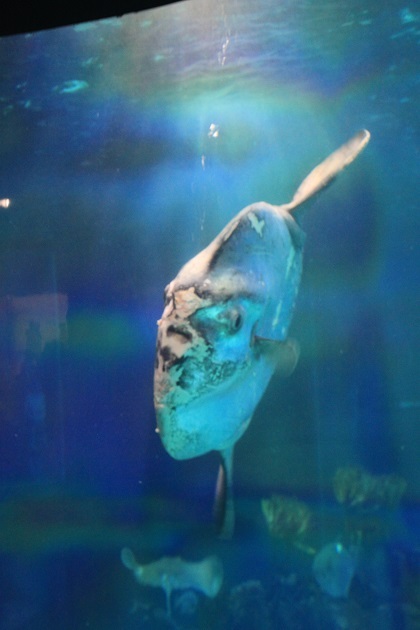 So sad that your visit wasn’t awesome… we have the same problem with our Vancouver aquarium. It is so popular with tourists and school groups that the trip has to be timed very carefully! Having a membership as a local takes the edge off, as it lifts that burden of “this better be worth the ticket price” and we can pop in and out. Having travelled a bit too we are starting to get more discriminating about what makes any place a “great” destination… I’m glad it’s not just us. You did get some lovely shots though, which make it look all sea blue and peaceful. Just wanted to say thank you again for keeping your blog going. The last year or so has been rough for us at times, but it is always nice to read about your travels and live vicariously. So inspiring. Happy summer! I think anywhere packed to capacity is never a fun place to be. We are learning too about being a bit more discriminating and sometimes opting out of the places that get the best reviews and recommendations for that very reason. Thank you for your lovely comments about the blog, so sorry to hear things have been tough but I hope they get better. We’ve had a rough couple of years as well and still a bumpy few months to come but I feel as if writing this blog and reading other people’s travel tales is a lovely escape from reality. Sending you lots of good wishes. Oh the crowds here Hilary, I think that was the problem. Had we been here on our own we probably would have loved it too. 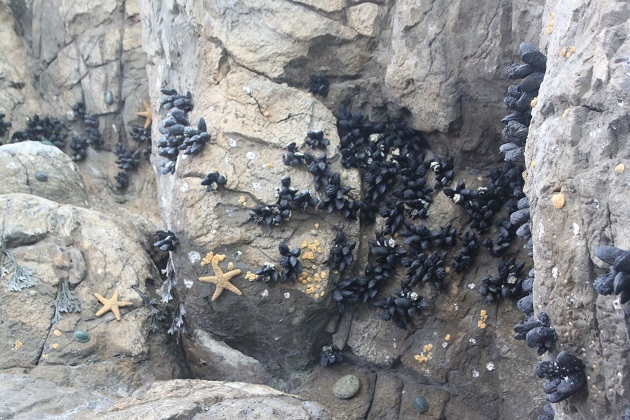 As it was, getting jostled and having to squirm to get to see anything was not ideal. Bad planning on my part to visit in peak school holiday time I think!! You’re right though, Lisbon did treat us well, we loved it and I would go back in a heartbeat. we loved it too!! I know we will be back someday! Isn’t he gorgeous – we all loved him! I love those conveyor belts in aquariums Rosemary, we’ve been on one (somewhere – can’t remember where) but it is such a great experience to look up and around at the creatures!!! I think it also helps keep people moving and not lingering which is great too. The crowds here were the main problem, it was packed to capacity and just none too pleasant. Had there been less people I think we would have enjoyed it a lot. We’re mid school holidays now, getting organised after our week away and mid planning another break in Devon in a couple of weeks. The sun is shining too which is always good Rosemary!! Hope your weekend is a lovely one too. Next time I go back to Lisbon I definitely will visit this great place. Thanks for sharing! That’s unfortunate that the experience wasn’t what you had hoped. Any time you end of somewhere with a large noisy crowd is unpleasant as far as I’m concerned. I completely agree, we should have thought it through better and realised during school holidays a place like this would be unbearably busy. We live and learn! I too dislike crowded noisy places – what a pity that you didn’t enjoy this aquarium as much as you could have on a quiet day. 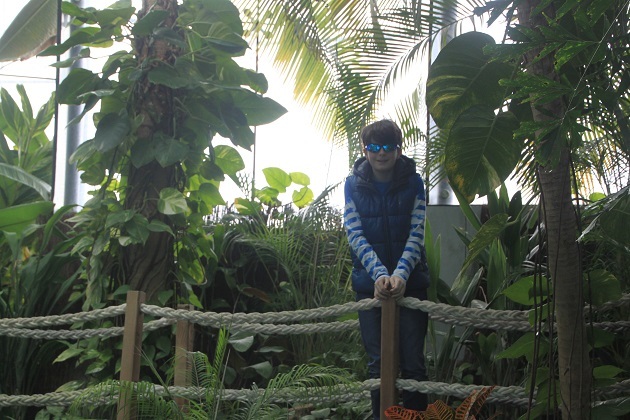 I particularly dislike it when kids make so much noise in aquariums and zoos – I had a recent experience in Rotterdam’s Zoo when roving swarms of school children made so much noise that they terrified a tiger into hiding! And the teachers did nothing, just chatted amongst themselves and ignored the yelling and banging on the glass partitions. It was awful. Wherever we walked, we saw them doing this at the other exhibits too. I felt so sorry for the animals, and appalled that no one stepped in to teach them some manners and respect for the animals who have nowhere to hide – and for the people who want to enjoy them in peace and quiet. Absolutely Reggie, it is one of my bugbears in places like this where even the signs ask for people to be quiet around the animals and they disregard them. Like you say, if the teachers in this did nothing how could the children know this was the wrong thing to do. Uggh sorry it did not meet expectations! I hate it when places are overcrowded too, especially indoors on a nice day. Can’t win them all! So true, bad planning on my part too though….